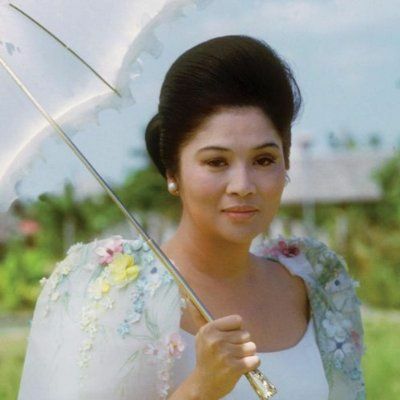 In one of the unquestionably oddest releases of the year, David Byrne and Fatboy Slim memorialize the notorious First Lady of the Philippines and shoe connoisseur Imelda Marcos (as well as her nanny Estrella Cumpas) with this 22-track concept album. In exploring the life of one of the last century’s most infamous female figures, Byrne and Fatboy Slim have enlisted quite an array of strong women behind the mic, including Sharon Jones, Santigold, Cyndi Lauper, Tori Amos, Florence Welch, Nellie McKay, Natalie Merchant, as well as lone male guest, Steve Earle. In largely writing all lyrics in the first person, Byrne casts his subject as a wannabe disco diva reflecting upon her innocent teen-beauty-queen hopes and doomed dreams for fame, fortune, and power. Throughout the two discs (which also come in a deluxe edition with a DVD of music videos and a 100-page book), it is hard not to think of Andrew Lloyd Webber’s Evita — both in concept and aesthetics. The title track, with Welch (of Florence and the Machine), starts the album with soft-rock flourishes, kitchy cabaret, and Seventies-era strings and horns befitting this twisted take on the Broadway biography.